It’s no surprise as to why a growing number are looking to small business and entrepreneurship opportunities as a fast track to economic success. The franchise industry experienced record-breaking success in 2018 and 2019 is projected to have an even stronger performance. For lots of entrepreneurs, the path to business starts with an original idea. However, franchising is a wonderful option, full of opportunity, for those with a drive to succeed. Now, the most challenging part is determining which franchise opportunities are out there and which is the perfect business fit. It’s easy, really. You get yourself to a franchise expo. The best part is that timing could not be better for those craving a new appetite for life with change in careers. Franchise Expo South kicks-off on Thursday, January 24 for eager entrepreneurs in search of new business opportunities. 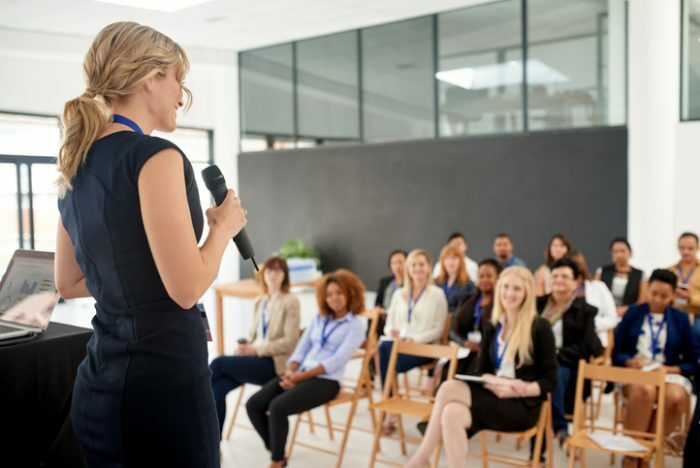 This year, Franchise Expo South – the largest franchise expo in the southern United States – is set to showcase more than 200 proven franchise concepts for new and current entrepreneurs. Those concepts range between $10K – $1M and are expected to draw thousands of attendees from all 50 states across the country. The expo runs January 24 – 26 at the Greater Fort Lauderdale/Broward County Convention Center, located at 1950 Eisenhower Blvd. The benefits of the expo go well beyond just seeing and testing franchise choices in a face-to-face platform. This expo is the perfect place to be for aspiring professionals of all walks of life, budgets, and interest to immerse themselves into the fundamentals of franchising further allowing them to dig deeper into its nuances and discover new opportunities to be in business for themselves. It’s the chance to learn and rub elbows with experienced executives, too. Tickets cost $10 to register in advance and $20 at the door, but those who register at www.FranchiseExpoSouth.com and use promo code FPR can receive a complimentary pass to attend the show. On-site registration is also available, but pre-registration is recommended. The top 10 trending business categories where the most growth is expected in 2019 are the Asian Food, Beauty/Grooming Services, Childcare, Electronics, Entertainment/Recreation, Fitness, Frozen Desserts, Mexican Food, Pets, Staffing/Recruiting. While some concepts are more popular than others, the industry as a whole is predicted to grow for the ninth straight year, thanks to the success of today’s economy, tax reform and favorable regulatory environment. Franchise Expo South offers guests the chance to learn strategies for success with over 35 complimentary seminars and five in-depth workshops. Running a successful franchise business requires hard work – especially in the first couple of years. It’s quite critical that all potential franchisees go into business where their personal and professional values align with the franchisors. Take advantage of these educational workshops, covering a variety of topics. It gives you the opportunity to meet with industry pros and learn more about their business strategies: what worked for them and what didn’t. More importantly, you’re building a lasting rapport with these franchise industry veterans which will help you have a successful franchise experience. Remember – choosing a franchise business isn’t an easy feat but you can do it with a support system. With it, small business success will follow.